I love art in the garden. You may have heard me say this a time or two before… :) I would have art painted onto my fence boards if I could get away with it! (And yes, I could, but I have a family that I don’t want to move away and leave me. They can only take so much.) 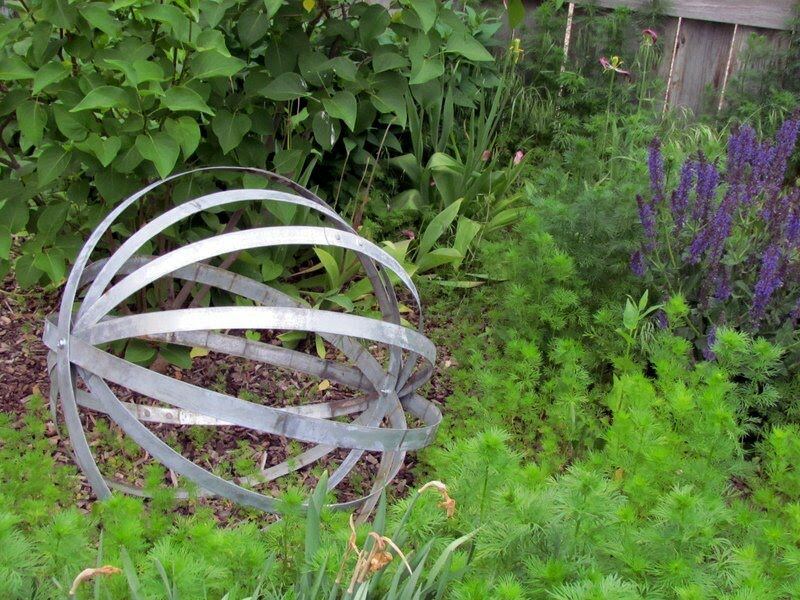 I love spheres in the garden as well, they are a great representation of the circle of life, which is what a garden is about. Gazing globes have been popular since the Victorian times, but they are usually made of glass and are expensive and breakable. How about trying something a little more… well, different and unique! 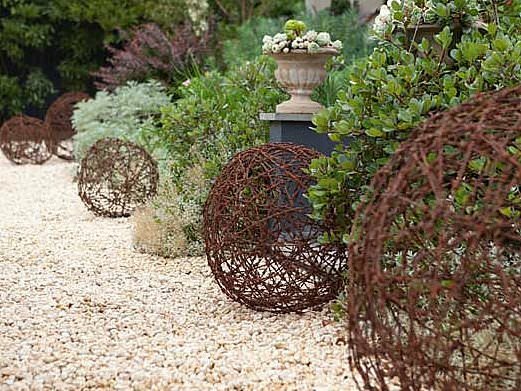 These creative DIY garden globes are perfect to tuck in a shady corner, to punctuate a busy flowerbed, or to add some interest to a boring walkway. Love all these projects! Our first project below, is from Alison at ‘Bonney Lassie‘. 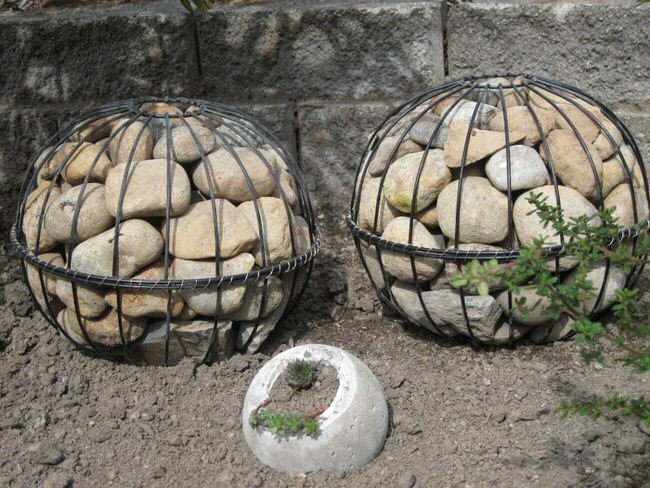 She made these gabion DIY garden globes for $20! I love how different these are… organic with the use of rocks, yet still controlled. Genius to use the wire flower baskets too! 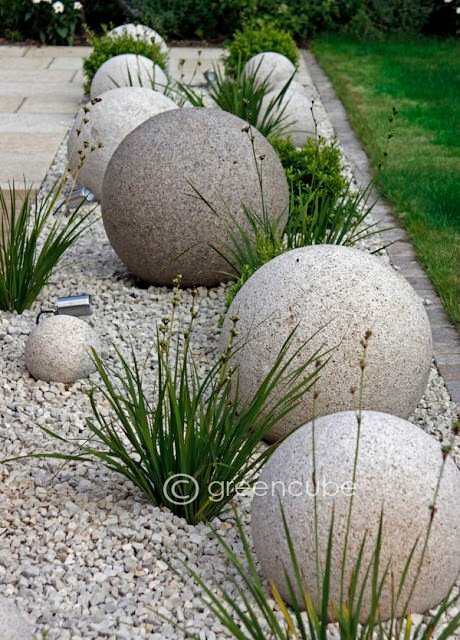 ‘Greencube Landscapes‘ shows us how incredibly cool concrete globes in the garden can be. 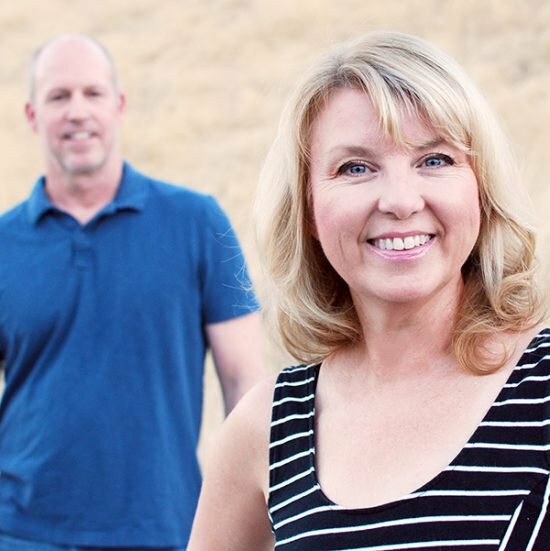 Be sure to check out their site for all the photos, they are inspiring! They don’t have a tutorial, but no worries, we do! 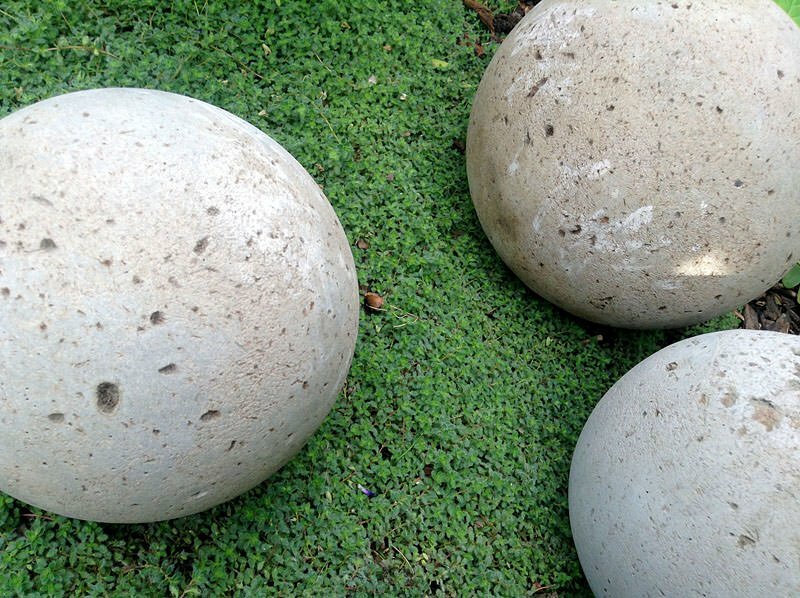 Check out our post on DIY concrete garden globes. These marble garden globes are the genius design of Etsy shop ‘Ta Dah PDX’. If you are patient, you could DIY this with some E-6000 adhesive, an old thrift store bowling ball, marbles, and a lot of time. Or, you could do it the easy way, and contact Ta Dah PDX! 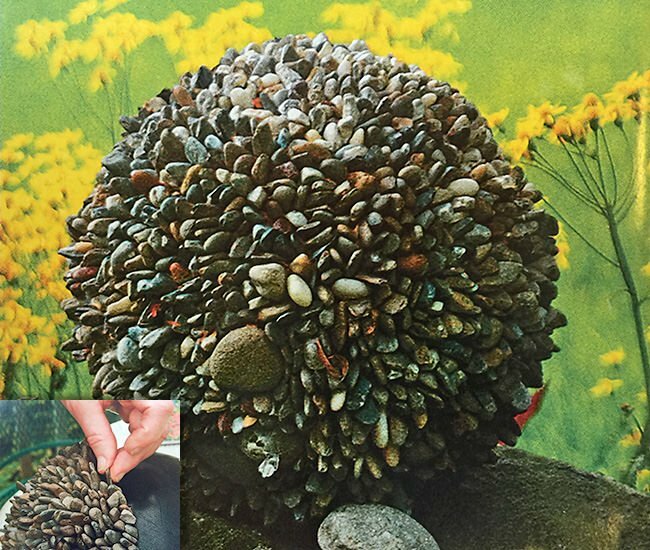 Here is another one that is a fun DIY project with adhesive… ‘Fine Gardening Magazine‘ Spring 2015 had this really unique stone covered DIY garden globe project in it’s pages! Pick up a copy and see all the details, but again, we recommend E-6000 adhesive, or a landscape adhesive that is waterproof. 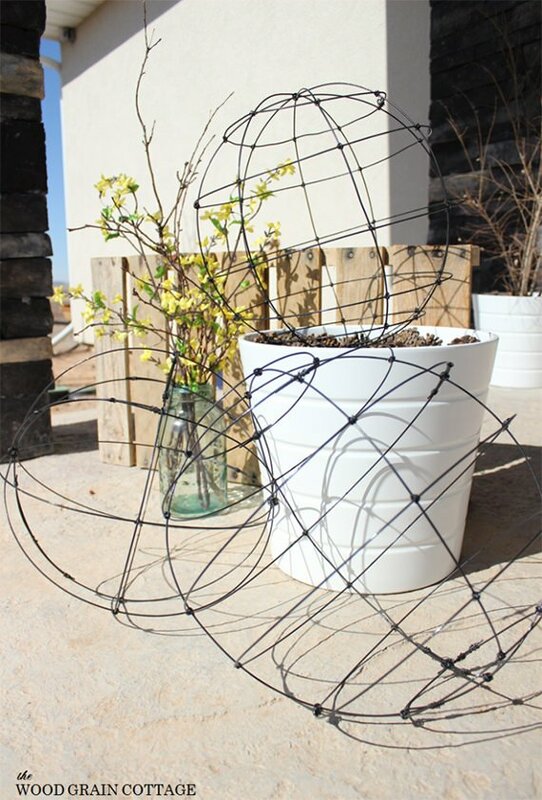 Shayna at ‘The Wood Grain Cottage‘ has a tutorial for her wire DIY garden globes with the help of her friend April. These are an easy project for beginners using wire and spray paint. I like how “light” they appear visually, and they look great in a grouping. 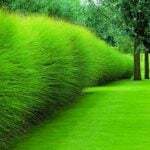 You could even grow things through them, like they had been there forever. Love these! 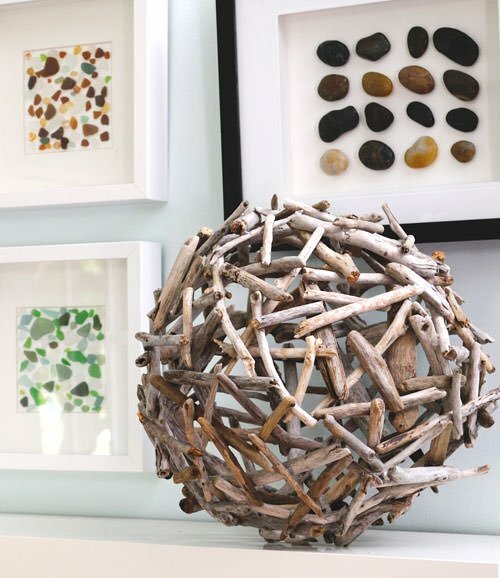 From Zoe at ‘Creative in Chicago‘, this DIY driftwood orb tutorial makes this a fast project that you could use indoors or out! I love how simple she makes this project, with one little trick! ‘The Peaceful Axolotl‘ shows us how to make these wine barrel hoop DIY garden globes. These are amazing! I wonder if you called a local winery, if they would sell you old hoops that have patina? This is our own DIY garden globes project that we did a while back using mainly cement. We show you the complete process with our step by step tutorial. 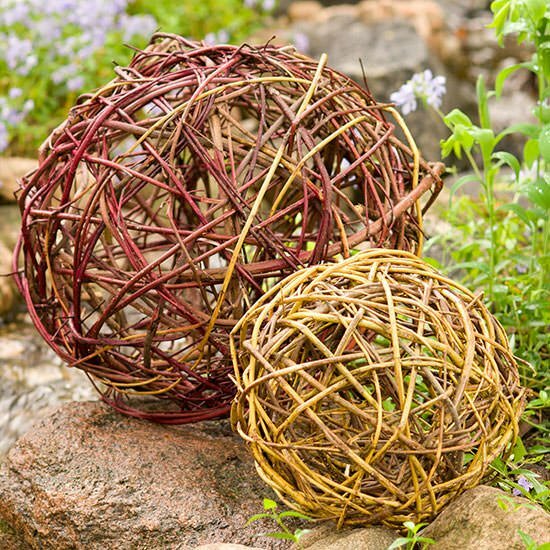 Finally, ‘BHG‘ shows us how to make a garden globe from yard cuttings. I like this tutorial because using branches from your own yard not only ties in the textures and colors of your garden, it gives it a little color and makes it different from the ordinary grape vine globes you can buy. 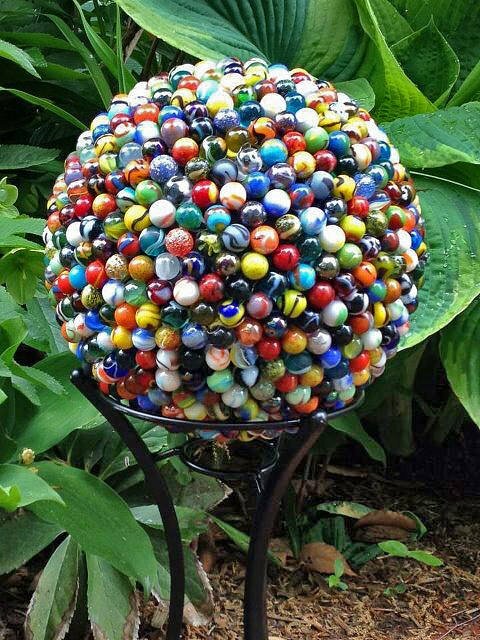 Give one of these DIY garden globes a try. Let us know in comments how it goes! If you liked this post, you might be interested in our post on DIY Garden Trinkets! 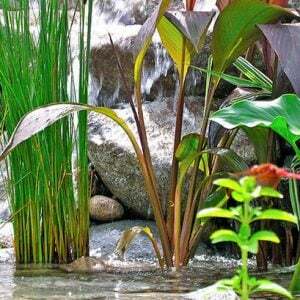 Enjoyed all these ideas that add fun to the gardens. 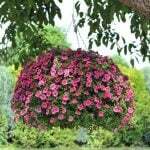 Suggestion for those who have gardens in the northern states; balloon & water globes are a fun project for the colder months of winter. I love all the concrete garden ideas. Being in the concrete industry, I work with it all day long and it is really nice to see it in decorative ways. Thanks for sharing! Those gardening globes look lovely, Kathy! 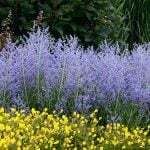 I’ve been looking for ways to make my garden look more appealing. I want the grandchildren to see and learn how fun gardening can be! Do you have any other suggestions on how I could excite them? I’ve also thought that I would make a garden patch, so they can plant pumpkins in them for Halloween. Hi Lily! Our site if full of great DIY ideas that would be good for kids, how about try our post on butterflies? Make a jar feeder together? Just let them enjoy being out there with you. 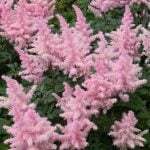 I make sure they have gloves and tools, just like I use, because they like that and feel valued as gardeners. 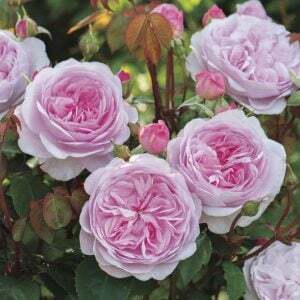 I also let them make some decisions about the garden, within reason. There are four of them that LOVE being in the garden with me, and I love it, too… we have so much fun in the garden!! !